As part of its far-reaching mission to help create better learning and teaching environments for all ages, Gratnells has launched a new ‘Rock Pools’ poster, the latest offering from the company’s Learning Rooms portfolio. Gratnells Learning Rooms is an all-embracing approach to the spaces in which teachers and pupils interact, whether that is in the classroom, in shared spaces or in the great outdoors. The Rock Pools poster has been inspired by the work of acclaimed educationalist Dr Katherine Forsey, who works with individual schools, local authorities and charities such as the Woodland Trust. She is also a consultant to Gratnells Learning Rooms, where her specialist outdoor work includes ideas such as pond dipping kits. This new poster features nearly 20 examples of the varied and fascinating life to be found around Britain’s coastlines and offers a website contact – www.learning-rooms.com - where teachers and educationalists can get seashore safety and lesson plans including follow-up activities, kits and other curriculum units, along with a copy of the post itself. Gratnells’ International Marketing Director Richard Picking says the Rock Pool kit is just one example of the Gratnells Learning Rooms philosophy in practice. As part of its ‘Learning Rooms’ approach which addresses many aspects of the learning and teaching environment, Gratnells, manufacturers and marketers of ‘Stage’ modular systems, is offering schools a variety of mini staging formats which can be easily used and stored in the classroom. Learning Rooms is a concept supported by leading education experts which, as part of its philosophy, seeks to promote the abilities of every child whether academic, creative or practical. A vital part of this process involves giving children a stage or platform on which to present, display and share their abilities with class and schoolmates. The introduction of ‘Step-up’ mini staging modules makes this an easy thing to facilitate, with an in-classroom unit that offers visibility and a presentation platform. Several classroom packs can be consolidated into a bigger format when a major production, in an assembly hall, is planned. Richard Picking, International Marketing Director for Gratnells, says that ‘Step-up’ has the potential to help develop children’s self confidence, self-esteem and communications skills. ‘Step-ups’ are comprised of highly engineered interlocking parts, easy to assemble and breakdown, with a quality finish wood surface and smart use of robust plastics for weight reduction and durability. Many variations in the modules are available including steps, pelmets and rails. 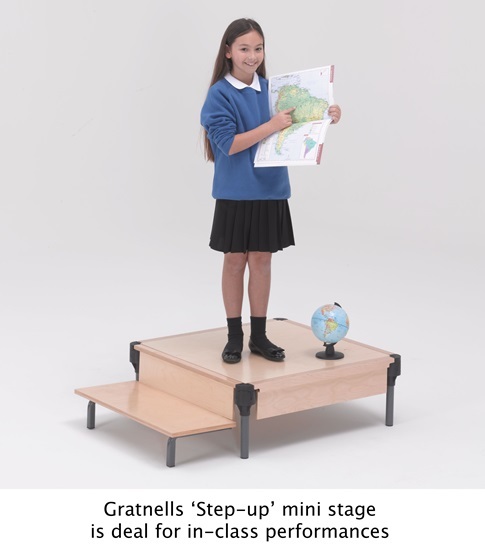 As part of the company’s ‘Learning Rooms’ project Gratnells is hoping the use of ‘Step-ups’ will facilitate and enrich the learning environment for both teachers and pupils, with a very affordable ‘stage’ for every classroom. In a unique agreement, which aims to help fulfil the potential of Britain’s schoolchildren, independent charity Potential Plus UK and Harlow-based manufacturer Gratnells will collaborate on a range of projects during 2016. For its part Gratnells, a leading UK manufacturer and marketer of storage, systems, modular staging and technical and IT trolley units’ designed for schools, has a long-term commitment to ‘Learning Rooms’, which addresses issues of classroom design, layout, systems and colour, along with outdoor and activity-based learning modules. 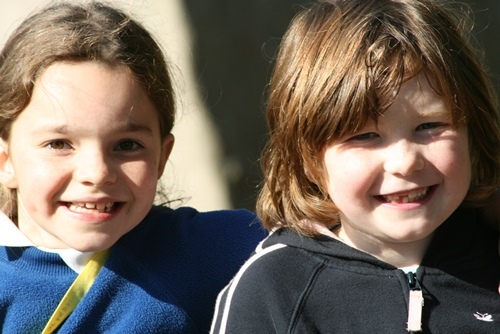 “We are extremely excited about working with Gratnells to ensure that the learning environment works for all children, but particularly those with high learning potential who can often struggle to achieve what they are capable of when these needs are not taken into account. The campaign is expected to roll-out nationally from June 2016 with a plan that takes it at least until the end of the year, when progress and outcomes will be reviewed by both organisations.